Found 12:28 pm, Thursday, 30 October 2008, in the intersection of York and George streets in downtown Fredericton, NB, while I was biking on a short lunch break for Art Bank work first to Simm's then back to Old Government House on the Woodstock Road. Buddy is from K'ville near the top of the Annapolis Valley in Nova Scotia, likely a uni stud here in F'ton . . .
After starting tonight's show with "Natural Resources" by Utah Phillips & ani difranco from the CD the past didn't go anywhere, we slid into an interview with live guests: Yolande House and Susan Douglas (Fredericton) on National Novel Writing Month. I think this unexpected version of the logo is a DJ Crisis Detector version, somehow, of the CMYK PDF online . . . let it go, let it go . . .
Second half of the show started with "longstoryshort" by Sekou Sundiata, followed by the Silver Wave Film Festival media launch of this past Thursday. "How to Remain" by Aural Heather. 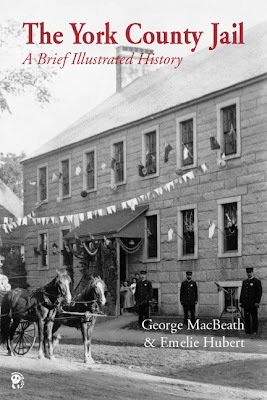 The York County Jail: A Brief Illustrated History, by George MacBeath and Emelie Hubert, will be launched by the authors on Thursday, 6 Nov. at Science Centre (in the former jail), 668 Brunswick St, Fredericton, NB. Starting at 7:30 pm people can have a tour of the building and dungeon museum. Books will be available for purchase. The book was published by Broken Jaw Press in Fredericton. More information on the book’s catalogue page. "Puerto Rican Literature on the Island and in the USA" by What's the Word? 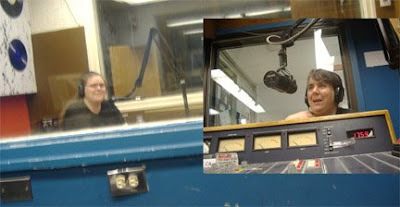 Radio Series (program 146) produced by the Modern Languages Association of America, NY, NY. Governor General's Literary Awards 2008 finalists announcement. « À Moncton » par Gérald LeBlanc, Fayo. WFNB Fall Fair and other arts event news. "Oscar Wilde and Friends" by Monty Python. Howlin' full moon Canadian election night . . . I wanted something grounded, local . . . something to hear, to listen to, and to think about. I dug out my recording of the 2007 Christina Sabat Memorial Lecture by New Brunswick artist-craftsperson Peter Powning. ● 16 Oct, Thursday, 8 pm reading from Asylum by novelist André Alexis, Memorial Hall, UNB Arts Centre, 9 Bailey Dr, Fredericton. ● 16 Oct, Thursday: noon Artist talk; 4:30 opening reception for BEYOND WORDS exhibition by 19 NB artists incl George Fry, Peter Powning, Suzanne Hill, Kathy & Sue Hooper, Peter Thomas, Brigitte Clavette, Linda Brine, et al, NBCCD Gallery, Queen St, Fredericton. ● 18 Oct, Saturday, 24 Hour Comics Day 2008. In F'ton, contact Jason or Derek @ Strange Adventures 450-3759. ● 18 Oct, Saturday, 5-7 pm: Exhibition openings at the Beaverbrook Art Gallery, 703 Queen St, Fredericton. ● 18 Oct, Saturday, 8 pm: Reading by D.Y. Béchard and Mark Anthony Jarman, Alumni Memorial Lounge, UNB Fredericton, 13 Bailey Dr, Fredericton. ● 22 Oct, Wednesday, 6 pm: Gallery ConneXion AGM to be held @ Doodles Café, basement of Charlotte Street Arts Centre, 732 Charlotte St, Fredericton. Ph 454-1433. "Rainbow Mewsik" by bill bissett. "À Moncton" par Gérald LeBlanc, Fayo. After the fact is still good news. A letter and first installment cheque arrived in today's mail. I hadn't waited for results of my grant application of early August before buying the Air Can tickets (in late July) for the WORDspinner Fall Literary Extravaganza last month in Grande Prairie, Alberta; Dawson Creek, BC; and points in between. My participation in the readings tour and related events wouldn't have happened if I had waited until now to receive word I'd been awarded a Career Development: Arts-by-Invitation grant. Thank you very much! 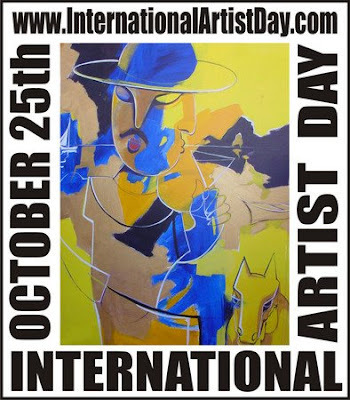 This activity / tour / event is supported by the New Brunswick Arts Board. 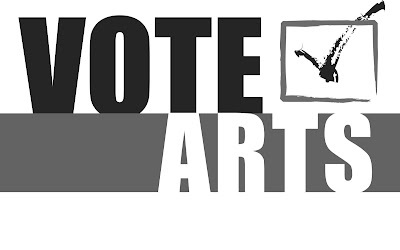 Cette activité / tournée / performance est soutenue par le Conseil des arts du Nouveau-Brunswick. Joe Blades reading at South Peace Secondary School, Dawson Creek, BC, on 19 Sept 2008. Photo by Dymphny Dronyk. Joe Blades talking at Peace Country's First Small Press Fair. It was held in The Rabbit Hole Bookstore, Grande Prairie, Alberta, on 21 Sept 2008. Photo by Dymphny Dronyk. Joe Blades reading poems of his, published in The Prairie Journal of Canadian Literature, at The Rabbit Hole Bookstore, on 21 Sept 2008. Photo by Dymphny Dronyk. 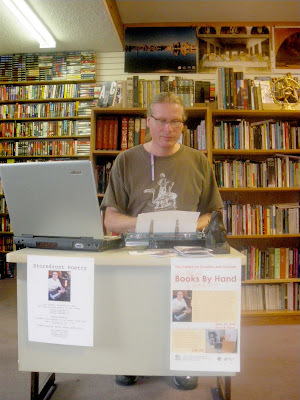 Joe Blades writing "Storefront Poetry" at The Rabbit Hole Bookstore, Grande Prairie, Alberta, on 24 Sept 2008. Photo by Dymphny Dronyk. "Howl" & "Footnote to Howl" by Allen Ginsberg. Publishing in the Maritimes with Jo-Anne Elder (revue Ellipse mag); Joe Blades (Broken Jaw Press) & Biff Michell. "How to Remain" by Aural Heather. Random Acts of Poetry, a celebration of poetry and literacy, begins its fifth year during the week of October 1st to 5th, 2008. Random Acts of Poetry is a project of the Victoria READ Society, a non-profit literacy organization, established in 1976. 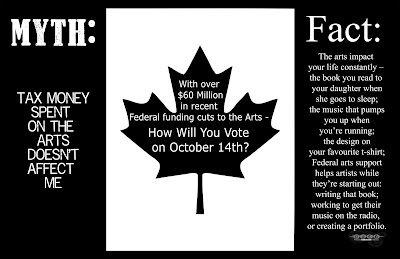 Random Acts of Poetry is funded by The Canada Council for the Arts. During the week, 25 acclaimed poets across Canada, from Victoria to Newfoundland, will commit Random Acts of Poetry in their cities and adjacent small towns. On buses and subways, in donut shops and cafes, police stations, grocery stores, shelters, curling rinks, on city streets and country lanes, poets will read poems to strangers and give them their books. Poets will also read their poems in ESL and Adult Literacy classes and, as well, will present poetry in middle school classes, and give the students a book of poetry written by middle school students, We Can Say This, published with support from of the TD Bank Financial Group. Fredericton poet Joe Blades will read for his second year with Random Acts. Blades has published four books of poetry, hosts the weekly Ashes, Paper & Beans on CHSR 97.9 FM, is Vice President of the League of Canadian Poets, and is a member of the BlackTop MotorCycle Gang writers group. 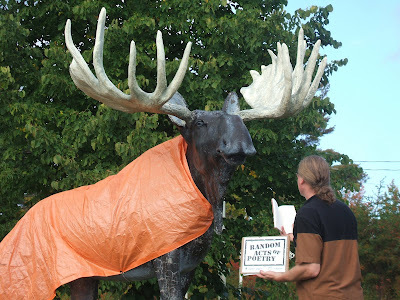 Across Canada poets will commit random acts in: Victoria, Nanaimo, Vancouver, Kelowna, Calgary, Edmonton, Saskatoon, Winnipeg, Toronto, Pickering, Trenton, Ottawa, Port McNicoll, Windsor, Montreal, Laval, Fredericton, Edmundston, Charlottetown, Halifax, and St. John’s. Joe Blades, T/F 506 454-5127, joe@joeblades.com, Fredericton, NB. Wendy Morton, T 250-642-3542, email: wendymorton@shaw.ca, Otter Point, BC. Claire Rettie, Victoria READ Society, T 250-388-7225, crettie@readsociety.bc.ca, Victoria, BC.